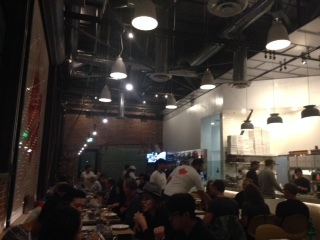 We recently had the pleasure to dine at this new fantastic hot spot just east of downtown LA. Convenient valet parking in the lot next to the restaurant. As soon as you walk inside, you are warmly greeted by the staff. The inside is just beautiful with an open air kitchen and a high ceiling. It makes you feel very comfortable as you begin your dining experience. This pizzeria has more than just delicious pizza. They aim to please with a variety of specialty appetizers, salads, soups, pastas and other entrees. Start your dining experience with one of their specialty cocktails, beer or wine. Enjoy one of their tasty starters such as the fried eggplant of our favorite (the cooked brussels sprouts with almonds, paprika and lemon. This dish is not to miss. Of course you have to try some pizza coming out quickly since it is over 800 degrees coming out of the big pizza oven. We tried the spinach and mushroom on gluten free and the regular marguerita. For entrees, we went with the perfectly cooked chicken with tomatoes, herbs and some chili flakes to make it a tiny bit spicy. 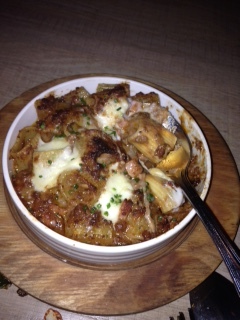 We also had the pasta al forno with meat sauce ragu and the homemade gnocchi with tomato sauce and topped with burrata. Just fabulous. 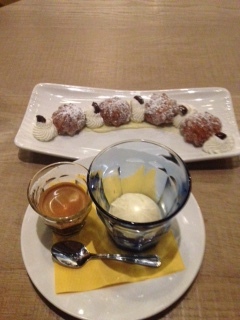 Don’t miss the dessert as we suggest zeppoline (fried donuts) for kids and the affogato for adults which is vanilla ice cream topped with expresso. Los Angeles (August 20, 2018) – FactoryPlaceHospitalityGroup announces its newest concept, sixth+mill pizzeria and bar, in Downtown Los Angeles’ Arts District, to open Sunday, August 26, 2018. The anticipated neighborhood pizzeria and bar will be open for dinner, nightly, and will add lunch service starting mid-September. Limited reservations are now available via Open Table or by visiting sixthandmill.com and walk-ins are welcome. “We are thrilled to continue serving our beloved Downtown Los Angeles community with our third restaurant. This is our community and they have supported us since day one,” says Matteo Ferdinandi, CEO of FactoryPlaceHospitalityGroup. sixth+mill pizzeria and bar is led by Mr. Ferdinandi and FactoryPlaceHospitalityGroup Culinary Director Angelo Auriana. The restaurant reflects Angelo’s Southern Italian heritage. The focus of the restaurant is intended to elicit the taste and emotion of his childhood memories and offer guests a taste of Southern Italy. 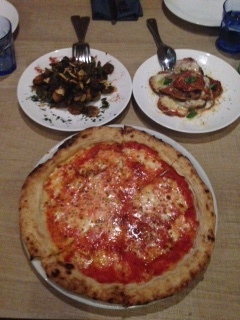 Besides the pizza, sixth+mill will also feature small plates, fritters, salads and durum wheat pastas. Signature dishes will include Pizza alla Montanara, a fried dough topped with a rich tomato sauce and Scamorza, traditionally served during special family gatherings. The Gnocchi alla Sorrentina, a hearty dish from Campania, is a deep simmering dish of garlic-infused potato gnocchi with a bright tomato sauce, topped with bubbling mozzarella and fresh basil. 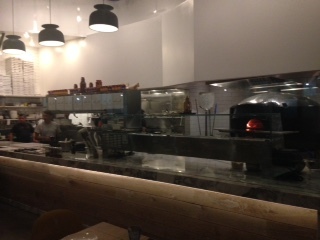 Then, of course, the pizza—cooked in Mario Acunto’s Neapolitan-style wood-fired oven encased with refractory bricks, allowing a thermal source of heat to provide consistency throughout the baking process. A traditional Italian spiral mixer slow mixes the dough allowing for a better fermentation process that develops a lighter dough and signature flavor. Those elements paired with Chef Angelo’s own natural yeast and a mix of flours creates pizza that is slightly crispy on the outside, soft and tender inside, light and highly digestible. Imported ingredients including cheeses, cured meats, and olive oil from the mountainous terrain of Molise, coupled with local produce, enhance the authenticity and freshness of each dish. 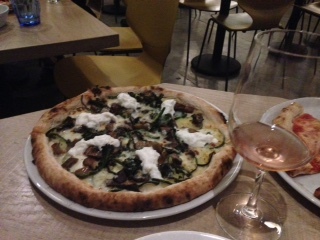 sixth+mill features an affordable wine list that corresponds to the menu and focuses on Italian Southern Regions. Draft beers offer crisp and refreshing selections from local breweries and beyond, while the cocktail list includes the San Gennaro: Bols Genever, Carpano and a splash of soda and a vibrant red Malafemmena or “bad woman” cocktail, named after the famous Italian song, made with tomato juice, spices and vodka. The Downtown Los Angeles Arts District location will open August 26, 2018 at 1335 East 6th Street. sixth+mill pizzeria and bar will start with nightly dinner service, Sunday – Thursday, 5 p.m. – 11 p.m. and Friday & Saturday, 5 p.m. – midnight. Lunch will be added starting Sept. 4. 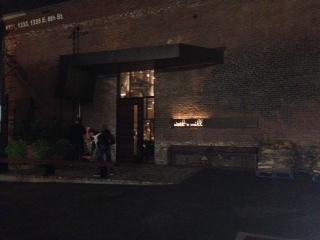 To make reservations, please visit sixthandmill.com or call (213) 629-3000. To connect with sixth+mill pizzeria and bar, please visit our sixthandmill.com and follow us on Facebook and Instagram. FactoryPlaceHospitalityGroup was founded by Restaurateur Matteo Ferdinandi in March 2013. The group’s portfolio of restaurants includes sixth+mill pizzeria and bar restaurants and the company’s flagship restaurant, The Factory Kitchen, and Officine BRERA in The Arts District, Downtown Los Angeles. Culinary Director and Business Partner, Angelo Auriana, joined Ferdinandi and his wife, Beverage Director /Sommelier and Partner Francine Diamond-Ferdinandi in August 2013, just prior to opening The Factory Kitchen Los Angeles. FactoryPlaceHospitalityGroup restaurants deliver classic Italian recipes and dining experiences reflecting the territory and traditions of the Italian People. The restaurants are comfortable, with carefully-crafted ambiance and knowledgeable, unpretentious service.